Intergroup Meeting Minutes – December 2014 – Lincoln Nebraska A.A.
Why not start out 2015 by doing something happy like coming to our Intergroup open house! What is Intergroup you say? Well, it is one of the best kept secrets of Lincoln AA. Here is the deal. Intergroup is about the Lincoln groups working together, and each group ought to have an Intergroup rep but most don’t. So we want to let you, the membership, know what we are about. That is the reason for the invitation. And to sweeten the evening we are providing snacks! — Come join us for our January 30 meeting. It s Friday night at the Willard Community Center 1245 Folsom, Lincoln (off of West A) 6:30pm. Bring your curiosity. Treasurer’s Report – Not Present, but presented info on budgets and questions were fielded on report. District 3 – Typical attendance, Workshop for Feb. 14. District 21 – Nothing to add. District 22 – Everything is well. Corrections Committee – Still needing a committee chair. The Local Jail needs both male and female volunteers. CCCL needs a volunteer to take over in-house meeting. See their minutes for more info. (At Bottom) Applications and Applicants must fill out a background check. Go to corrections meeting if interested. Treatment Committee – Things are going well. Now have literature chair. Bridging the Gap is becoming more efficient. 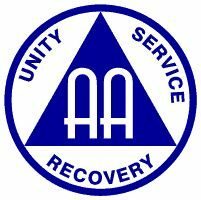 Bridging the Gap is loosely defined as being ambassadors of AA to local treatment centers. Literature has been given out to more non-profit treatment centers. New Business – Will need New Web Chair, Descriptions will be posted for what the Web Chair does.